Cute Dinosaur Enamel Pin Badge | Pin Badges | Hard Enamel Pin Badge | Dino Baby Pin Lapel Badge a great gift and just hatched! Star Wars inspired Admiral Ackbar Enamel Pin | Pin Badge | Pin Badges | Soft Enamel Pin Badge | It's a Trap! 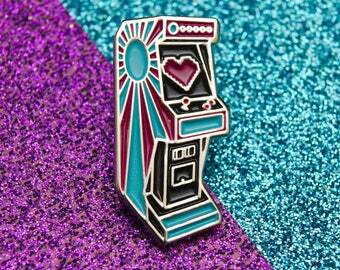 Power Up Pins was born out of a desire for awesome pop culture and gaming pins. Our focus is to deliver excellent Customer Service while bringing you high quality, beautifully made Enamel Pins at affordable prices with orders processed in 1 business day. Known for our fun, vibrant designs we love bright, quirky and silly styles! We like to make awesome pins and patches that can be worn by anyone, anywhere.